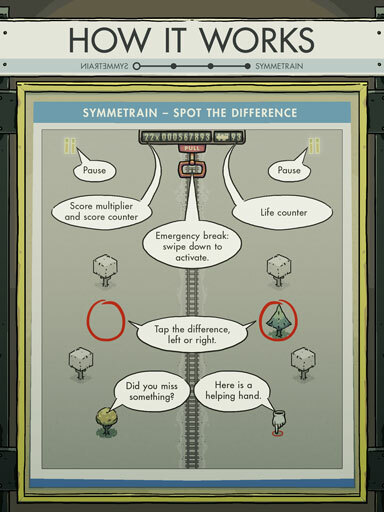 Symmetrain is a beautiful puzzle game for the whole family. Choose a train and spot the differences in the passing landscape. The landscape left and right of the train tracks is mirrored. Almost. Find as many hidden differences as possible and restore the symmetry. Tap the correct object and reveal the missing counterpart! Use the emergency brake when it gets too tricky. 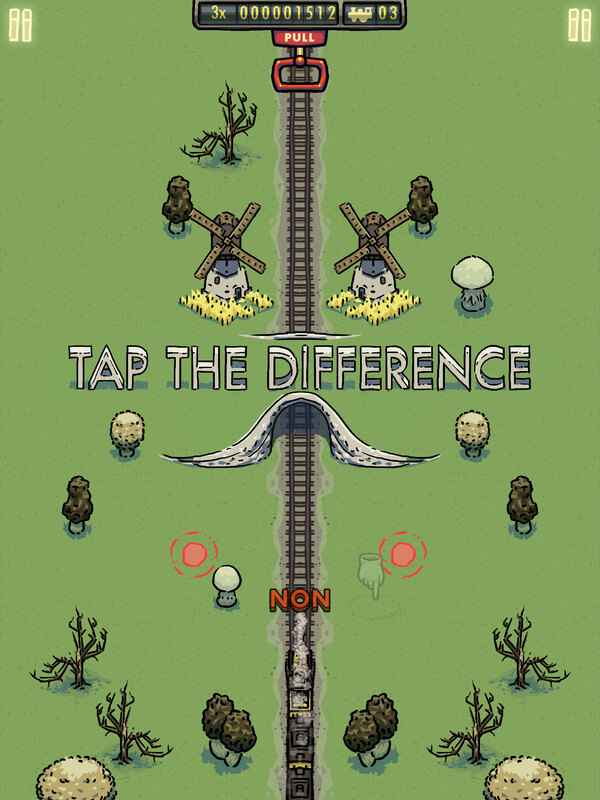 Master faster and more difficult trains and unlock many new beautiful landscapes. A game for everyone – easy trains for beginners and children, fast trains for adults. Eight trains to unlock and play each with a different speed, look and travel route. A game for everyone – easy trains for beginners and children, fast and difficult trains for the skilled.